Litigation and Dispute Resolution Partner Mark Side was in Singapore last month to attend the 11th Centaurs International Mini & Youth Rugby Tournament, which was held at the Centaurs Sports Park. Mini rugby teams from the U5 (under 5 years old) to U17 categories all participated in this international tournament, including Hong Kong’s very own HKU Sandy Bay team (which Mark coaches). 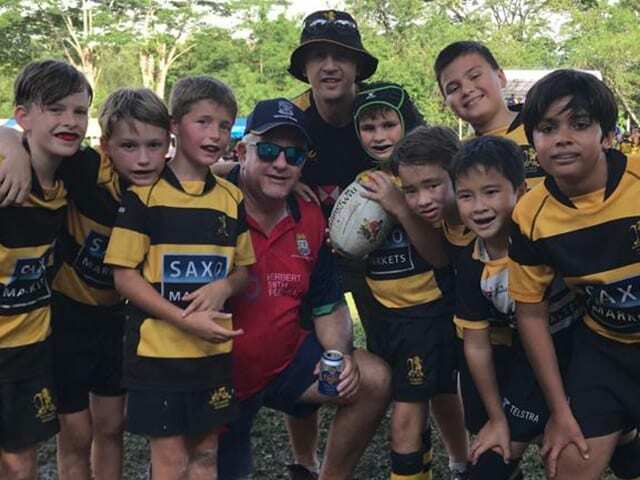 Mark and the HKU Sandy Bay players came across a very pleasant surprise when they spotted a Tanner De Witt mini rugby ball at the tournament! Tanner De Witt gives away thousands of mini rugby balls each year to new players in Hong Kong and we are delighted that they are being enjoyed by children all over the globe – including in Singapore! ​For more information about our community efforts, please visit our Community page.